Robert Hall Chilton was an officer in the US Army and then a brigadier general in the Confederate army during the American Civil War. He served as chief of staff for the Army of Northern Virginia under Robert E. Lee for much of the war. Chilton was born in Loudoun County, Virginia, on February 25, 1815, to a prominent family. He was the son of William and Sarah (Powell) Chilton. He secured an appointment to the US Military Academy and graduated forty-eighth out of fifty-seven cadets in the class of 1837. Brevetted as a second lieutenant, he served in various administrative posts. On September 25, 1845, he married Laura Ann Thomson Mason (1829–1911) in New York City. The couple would have three children— Laura Mason, Emily Virginia, and Robert Lee Chilton. He was assigned to a regiment of dragoons for western frontier duty and fought in a series of skirmishes with Osage Indians. He served in Kansas, Texas, and the Indian Territory. Chilton fought in the Mexican-American War, winning the brevet rank of major for gallantry in action at the Battle of Buena Vista. Under severe Mexican fire, he picked up the wounded Col. Jefferson Davis and carried him to safety. Chilton was promoted to captain of the First US Dragoons. He was assigned in 1854 to administrative duty as a paymaster with the rank of major, serving in various posts in Washington, DC; New York City; Detroit, Michigan; and San Antonio, Texas. Chilton was in Texas when he received word of the bombardment of Fort Sumter. He resigned his commission in the US Army on April 29, 1861, and traveled home to Virginia. He enrolled in the Confederate service as an adjutant general with the rank of lieutenant colonel. He served on the staff of fellow Virginian Robert E. Lee, rising to chief of staff. He did not pen the famous “Lost Order” during the Maryland campaign. The identity of the writer of the lost order McClellan received from the field is yet to be identified. 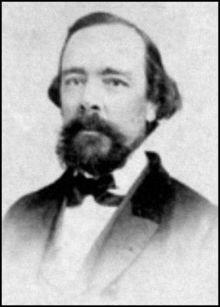 Although nominated for brigadier general in October 1862 and despite firm support from General Lee, the Confederate Congress did not officially confirm Chilton’s appointment until February 16, 1864—likely due to repeated clashes with the Confederate Senate and with fellow officers, most notably John B. Magruder. Following the Gettysburg campaign, he served as inspector general for the Army of Northern Virginia for the rest of the war, with his headquarters in Richmond. He rarely led troops in the field, with the exception of a successful attack in May 1864 when he led a small force of Virginia troops in routing Federal troops from the Army of the James that were raiding the important Richmond & Petersburg Railroad. Following the cessation of hostilities in early 1865, Chilton returned to civilian life. He moved to Columbus, Georgia, where he became president of a local manufacturing company. He died of apoplexy in Columbus in 1879. Sources of information: Evans, Clement A., Confederate Military History, Volume III. Atlanta, 1899. Heitman, Francis, Historical Register and Dictionary of the United States Army 1789-1903. Washington: US Government Printing Office, 1903. Warner, Ezra J., Generals in Gray: Lives of the Confederate Commanders, Louisiana State University Press, 1959.